Looking for a way to save money on your countertop project? If so, you may be interested in our Value Series colors! 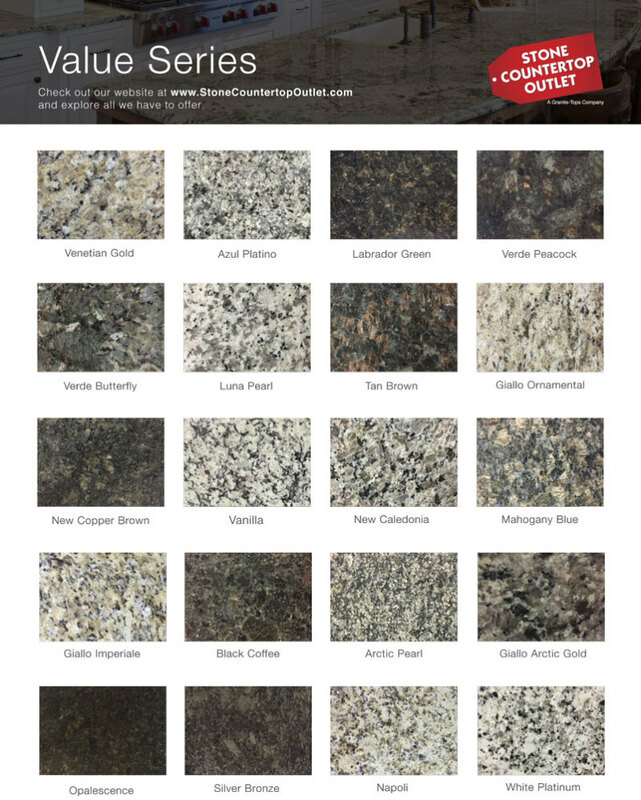 We have 20 granite Value Colors. Our Value Series material is hand selected from our preferred suppliers to provide high quality residential grade material at a competitive price for our clientele. From popular light tones to classic creams and golds and everything in between we have you covered!